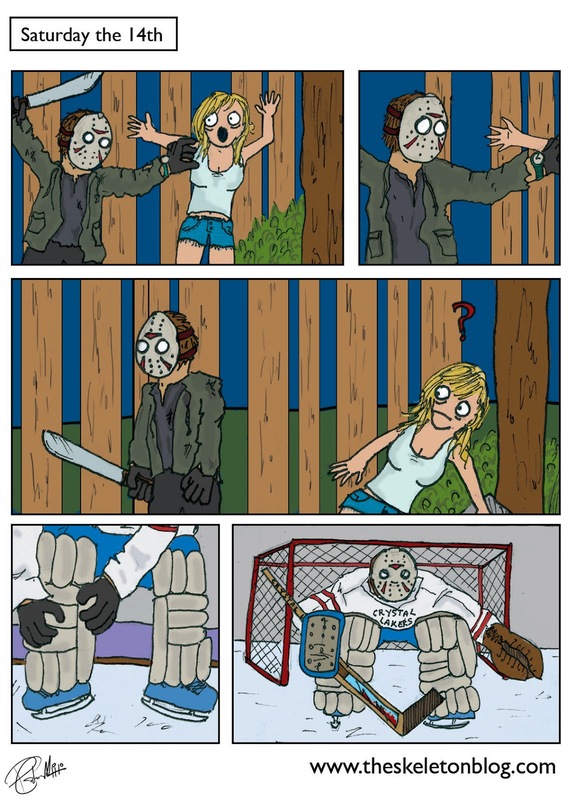 What does Jason Voorhees do on his days off? You know, when it's not Friday the 13th? He's a big guy who just won't stop. That's determination for. That's commitment. Sports is the perfect outlet for all that physicality he's got pent up, plus he already has that hockey mask. The problem though is that if the crowd start chanting, 'kill kill kill! ', then he might actually whip out the machete and start chopping' heads.